The bypass surgery of ailing Road Transport and Bridges Minister Obaidul Quader, has done successfully around 2 pm on Wednesday at Mount Elizabeth Hospital in Singapore. Dr Sivathasan Cumaraswamy, cardiothoracic surgeon at Mount Elizabeth Hospital and senior teammate of the medical board formed for Quader’s treatment, conducted the surgery which began at 9 am (Singapore time), information officer of the Road Transport and Bridges Ministry Abu Naser said. 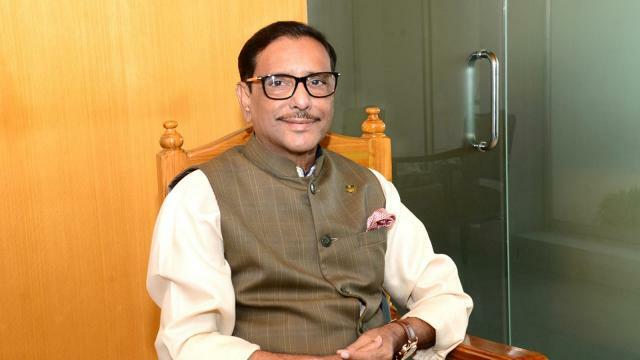 Quader, also Awami League general secretary, was admitted to BSMMU on March 3 following breathing complications but tests revealed three blockages in his coronary artery.